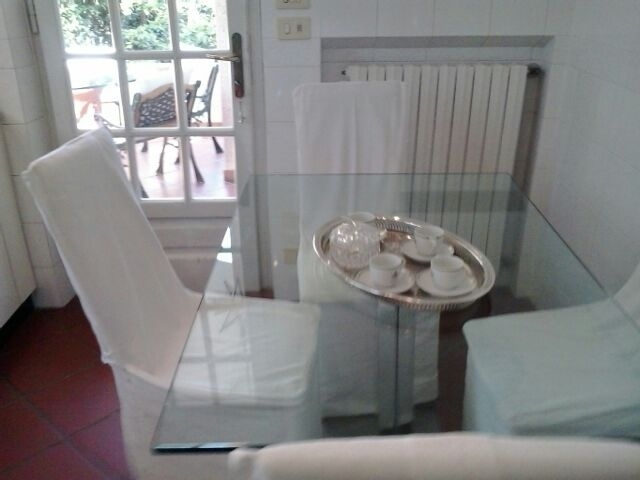 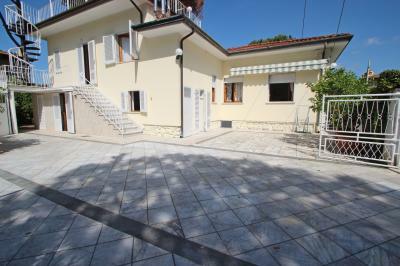 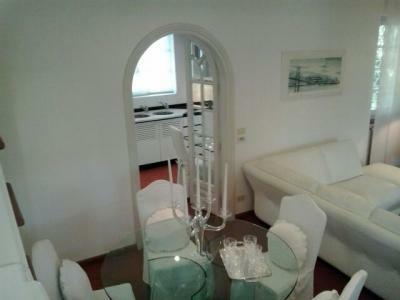 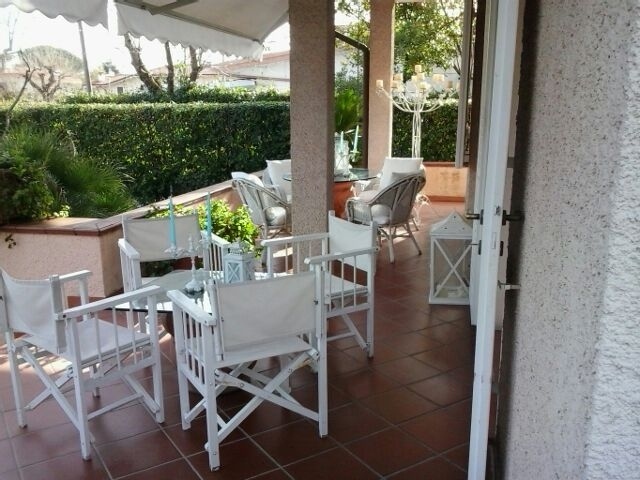 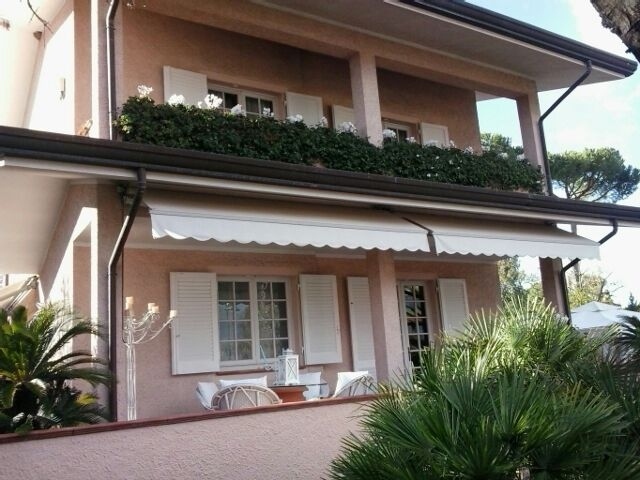 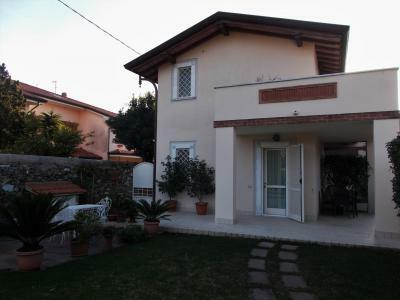 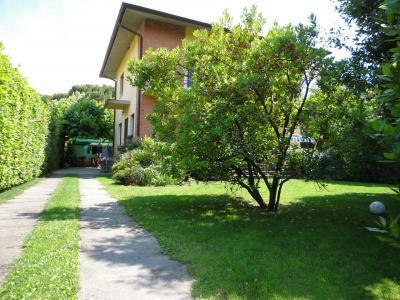 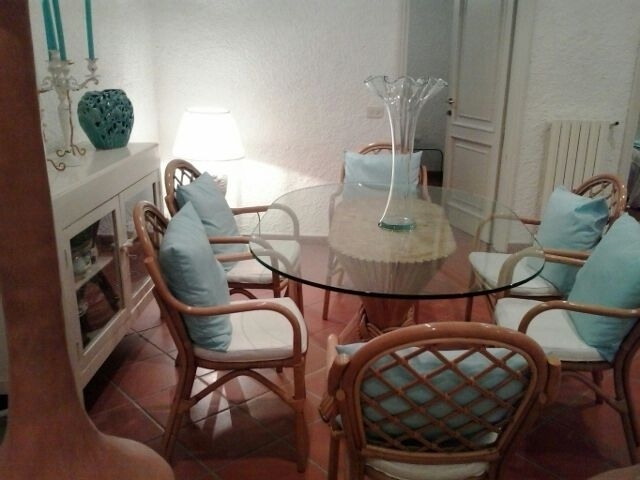 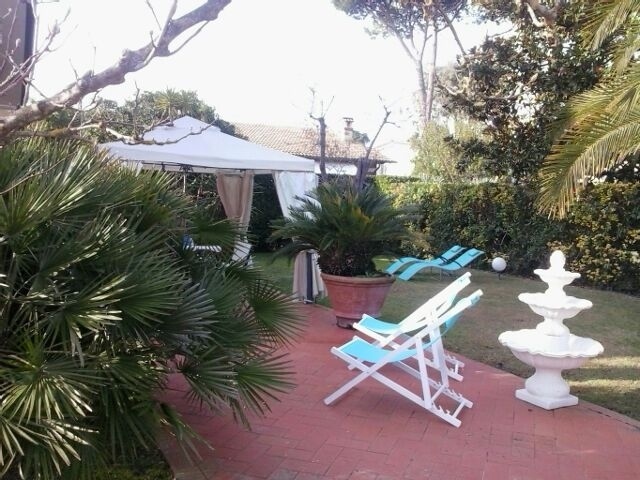 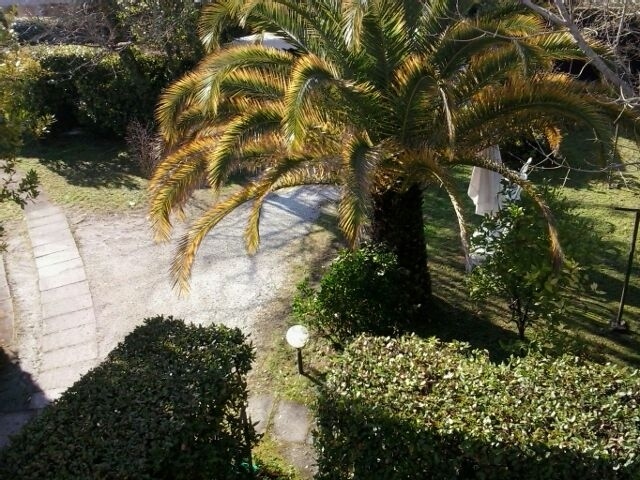 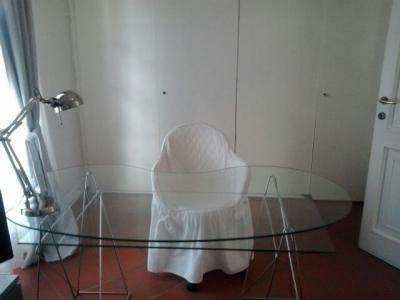 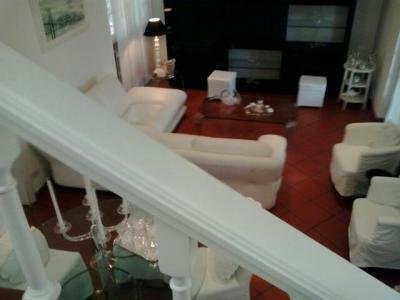 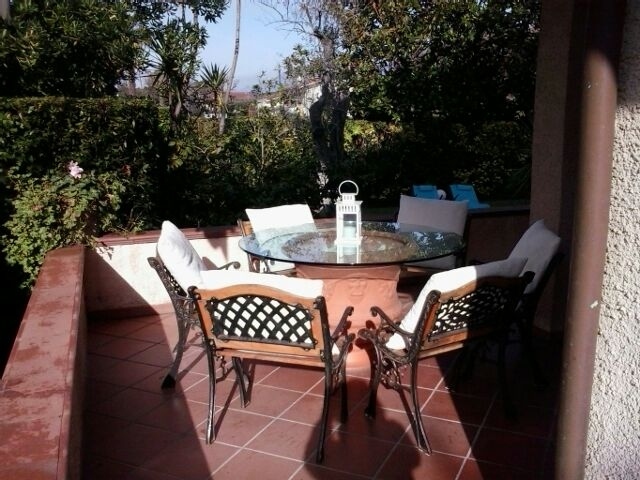 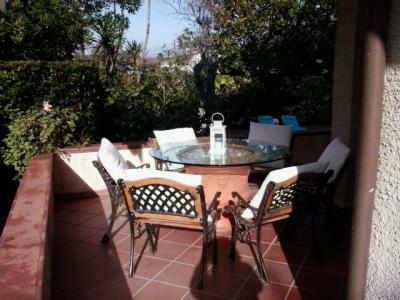 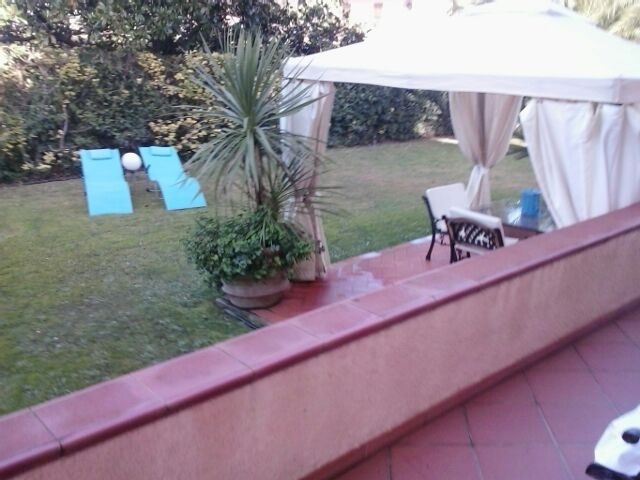 Forte dei Marmi Caranna, summer cottage for rent location, with private garden and large indoor parking. 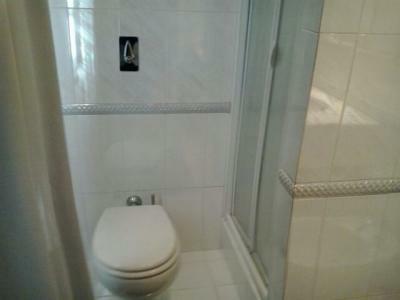 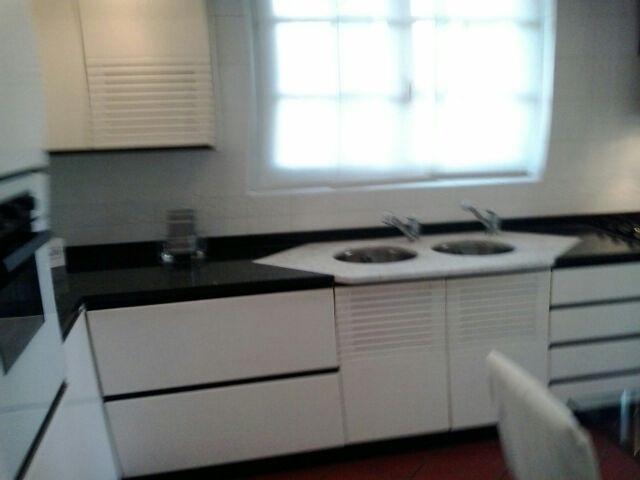 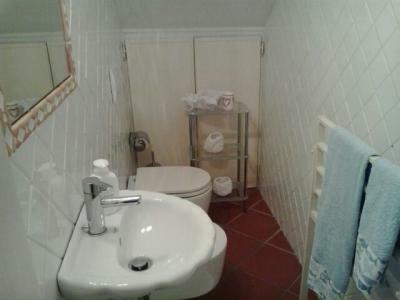 Ground floor: living room, kitchen, bathroom with shower. 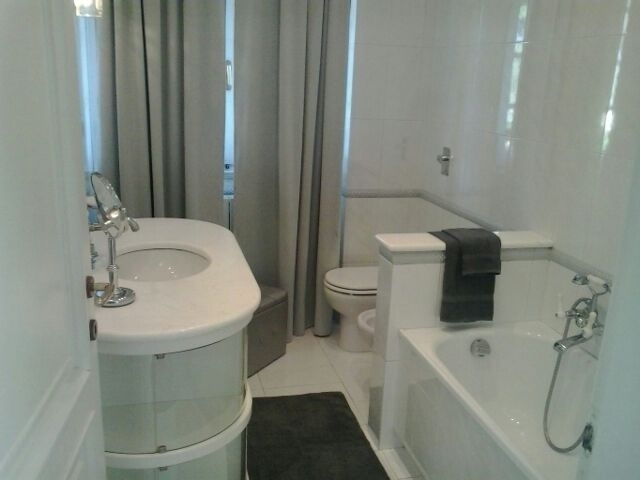 First floor: two double bedrooms, bathroom with tub, balcony. 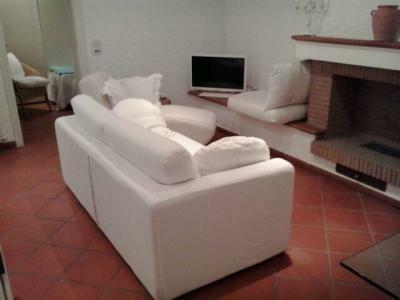 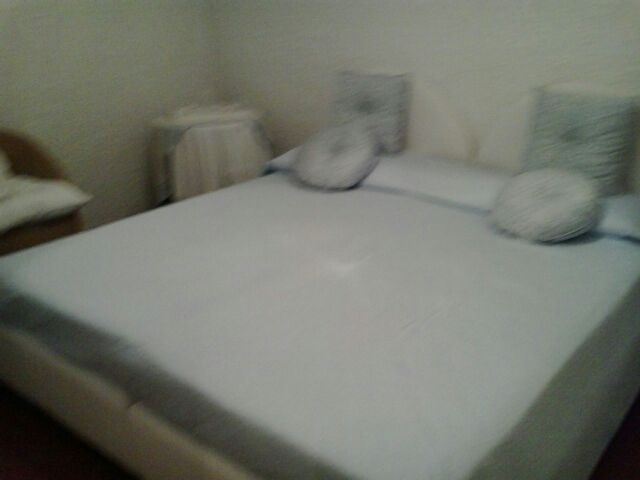 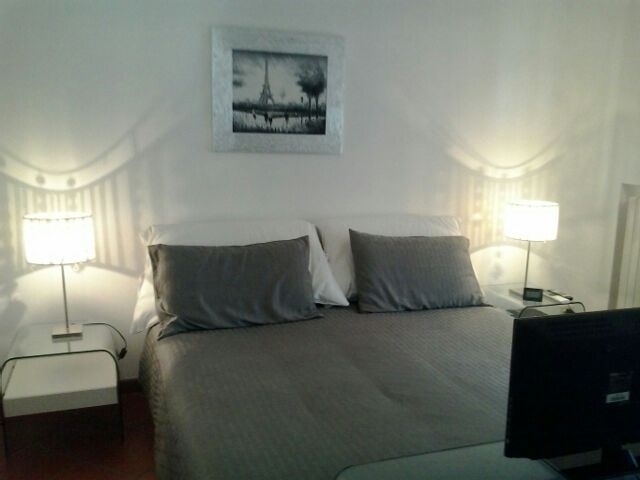 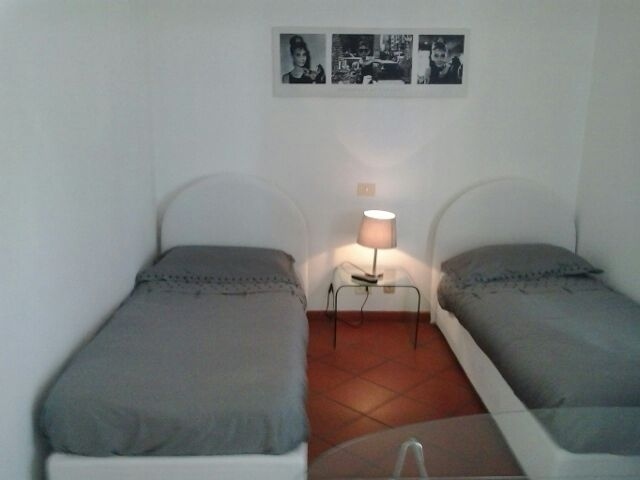 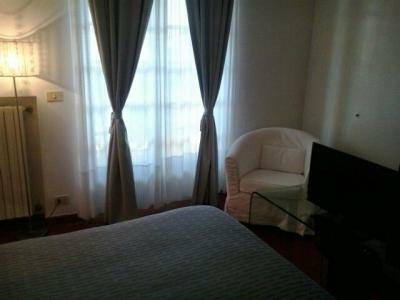 Taverna: living room, two double rooms, valet, laundry.